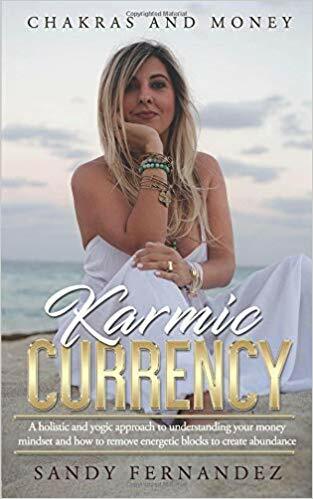 Join us in celebrating of the debut of “Karmic Currency, Chakras and Money” Enjoy a champagne toast, as Sandy reads an excerpt from her book, share her journey and answer questions on the topic of Karmic Currency. Sandy began offering her services through her own Karmic Currency in 2017. Sandy combines her many years of financial experience, with her talent and love for yoga and spirituality. These soul renewing practices have been a part of her life for over 8 years and have played a major role in helping her get through some of life’s most difficult hurdles. Yoga has allowed Sandy to grow stronger physically, and most importantly, mentally. After completing her required training she has become a Reiki Master allowing her to further tap into her spiritual gifts which she uses with her clients. Today, Sandy uniquely incorporates spiritual principals with financial services to guide business owners and entrepreneurs to an abundantly, successful personal and professional life, free of financial burdens. Recently she launched an online program called Chakras and Money. An in January 2019 she rolls out a 7 week program taking participants through an in depth journey to heal and transform their relationships with money. As Zig Ziglar once said, “Life is an echo. What you send out, comes back. What you sow, you reap. What you give, you get. What you see in others, exists in you.” Sandy lives happily by this quote, and with her help, so can you! 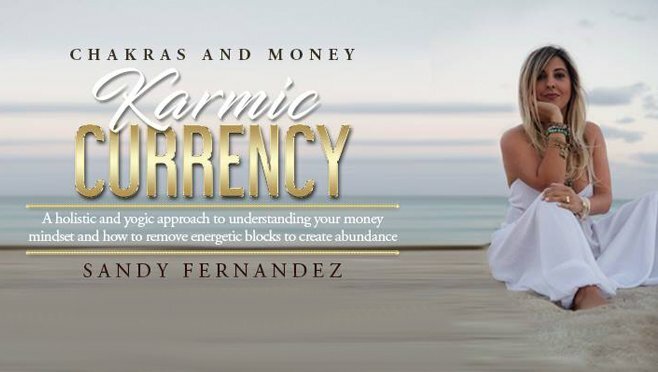 Sandy Fernandez is the President and Founder of Karmic Currency, the energy behind business and finance. Often called “the money angel” by her clients, Sandy Fernandez is certified yoga teacher, clairvoyant, reiki master, and finance & money mindset coach. Sandy has been in the banking and finance industry for 21 years while holding several financial licenses in the state of Florida. Sandy has been featured in Yogi Times for her piece Tales of a hostile yogi and Chakras and Money. Sandy was also featured in Brickell Magazine with Fork in the road and VoyageMIA Magazine’s Inspiring Stories. She has also been featured on New York based podcast Morado Lens, and on Bloomberg Radio talk show Abundance Now, Aldea TV, and OMstars Network for the Business of yoga with Kino MacGregor.